Students from two east Leeds schools have completed a workplace challenge to improve job prospects and skills within the housebuilding sector, in a project set up by homebuilder Strata and social enterprise, Ahead Partnership. 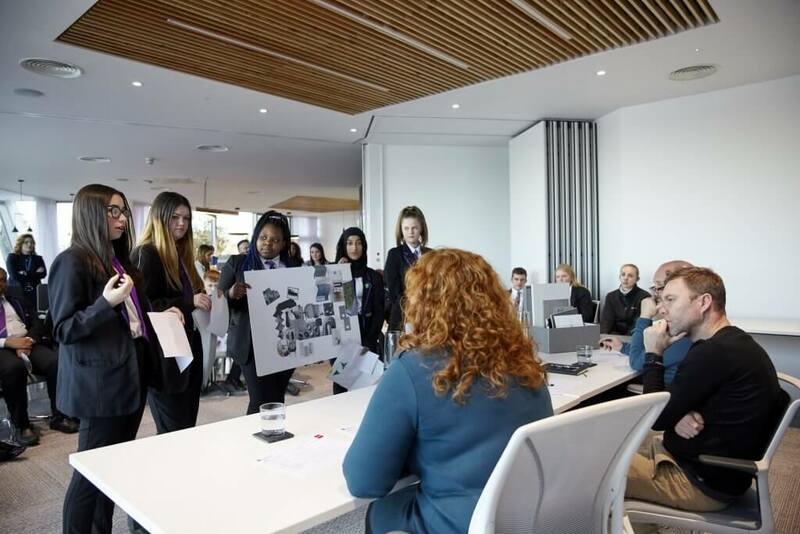 Strata, which has developments across Yorkshire and the Midlands, worked with teams from John Smeaton Academy, and Leeds East Academy, to help address the skills gap within the industry, and inspire students to look into job prospects within the sector. 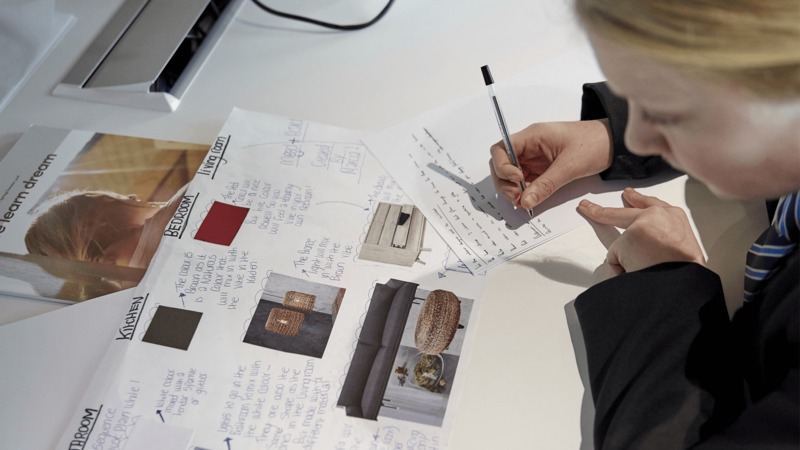 Following an initial competition amongst 120 students to ‘Make a House a Home’, 25 students worked in teams of four with guidance from Strata and Ahead Partnership, to design homes for specific types of customers. They worked across different disciplines within the Strata business, including construction design, interiors, the commercial and marketing teams, to come up with ideas to be presented to the senior management and directors. The winning team came from Leeds East Academy and each member won a £50.00 Love to Shop voucher to spend as they wish. Runners up were also given a £10.00 Love to Shop voucher each, in recognition of their achievements. The winning concept was designed with university students in mind. Bedrooms were left as a blank canvas to allow the residents to add their own personalities to the décor and the common areas took on a chic, modern grey colour scheme. Their design included a large open plan living and kitchen area with large windows for lots of natural light and the winning students took on board some important environmental issues within their design. This included adding in a living wall, solar panels and Wi-Fi throughout the property, recognising these factors as an important consideration for university students. The team also took into account the materials used to build the property and advised this would be made from a timber frame with bifold doors throughout. The Strata ‘Dragons’ who judged the competition were so impressed with this design and the way it was presented, they awarded one female student from the winning team a work experience placement over the summer months to further enhance her learning and potential for this industry.